A 3-year-old is dead after she was caught in the crossfire of a gun battle between police and a man believed to be her father, who police say had just shot and seriously wounded two of the girl's relatives. The final shootout between the suspect and police happened on Branch Avenue in Prince George's County Saturday afternoon, stunning people shopping for cars or driving near the busy area. Police say they do not know whose bullets struck the girl: those from the police or those from the suspect. It's also not known if police knew that the girl was in the car. 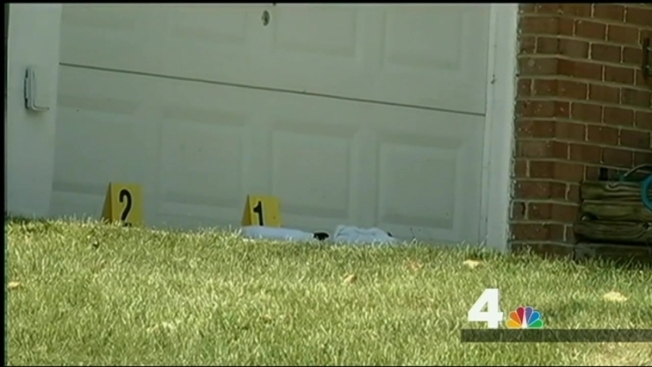 Prince George’s County police said they first were called to the 4200 block of Farmer Place in Fort Washington, Maryland, where they discovered two people wounded by gunfire. Both were transported to the hospital in grave condition; they have since been upgraded to critical condition. The gunman, meanwhile, had grabbed a small child -- reportedly his biological daughter. He left the scene in a car, and was pursued by police down Branch Avenue. At one point, the suspect lost one of the wheels of his car, but he continued. At Beech Road and Branch Avenue, the suspect stopped briefly and shot at police, police said. Police said the suspect then got back in his car and continued down Branch Avenue where he stopped again in the 4600 block of Branch Avenue and once again fired at officers. The police shot back; the suspect was hit and killed. Officers searched the suspect’s car and found the young child suffering from a gunshot wound. The girl was taken in grave condition to a hospital, where she was pronounced dead. "That young child was also struck at some point during this encounter," said Lt. William Alexander, a spokesman for the Prince George's County police. "We don't know when, and we don't know by whom." Five Prince George's County police officers and one Maryland state trooper opened fire, officials said Saturday. As is usual procedure in police-involved shootings, those officers have been placed on administrative leave during the investigation. No officers were injured in the exchange. Police said the original victims are believed to be the grandfather and great-grandmother of the young child. None of the victims or suspect has been identified.